Elephant's Child is taking a break this month, but her pictures are always worth seeing and hopefully she will be back soon. Cholesterol took off like a bottle rocket too, so I have pills to reduce that also and strict orders to cut out the ice cream or else. I add a lot of extra toppings: garlic, char-grilled capsicum strips, olives, mushrooms, pineapple and a good sprinkle of oregano and a little parsley. Can't eat these anymore either, for a while at least. 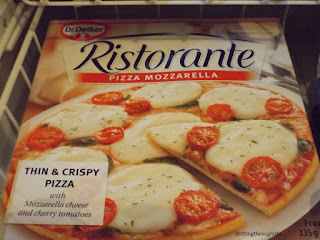 I only ate maybe three or four a year, but to be safer and healthier, no pizzas for a few months. this plateful of colourful stuff is what I eat for dinner these days: lettuce, tomato, cucumber, mushroom, capsicum, rockmelon. Ooooh, Yum! a little home made coleslaw on the side or even separately with a medium rare steak, which I'm still allowed to eat. No processed meats though, which is okay because I almost never ate those anyway, just ham at Christmas. 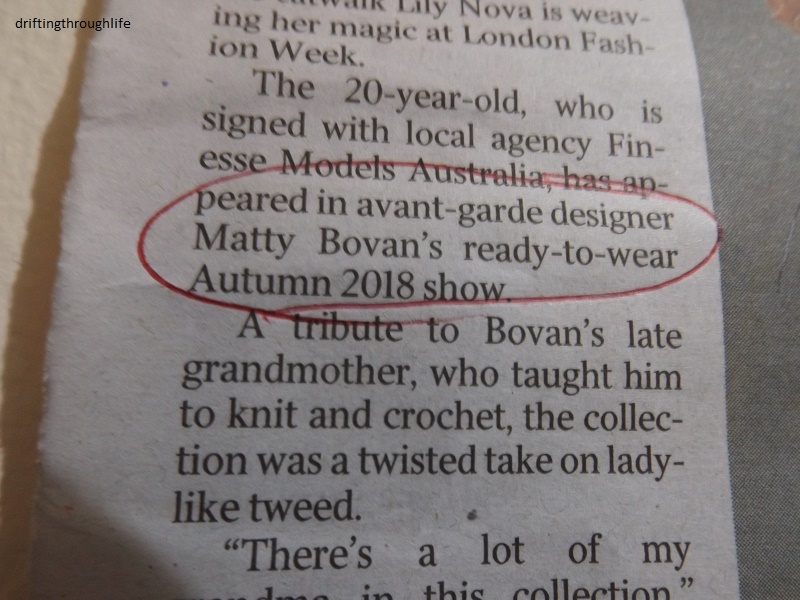 "...avant-garde designer Matty Bovan's ready-to-wear Autumn 2018 show. now tell me, is this ready-to-wear? Would you select your size from a rack of ready-to-wear that looks like this? what's that black texta square drawn on the face all about? Buttons Thoughts; perhaps to a costume party as a worn out rug. "Oh, this old thing I just threw on!" Old people pills. Welcome to the club, and don't malign them. They keep us alive much longer. Joanne; no maligning here, I'm happy to be helped into old age. Author R. mac Wheeler; it's been a great weekend, following a stinker of a Friday with weather so hot and humid I almost melted, Saturday dawned cool and cloudy, today is still beautifully cool, but sunny. That looks more like ready to change out of...I'd have to cover my face more than that. I can relate to the small pills also, especially when I dump them out of my pill box and into my hand in the dark...just kidding about the dark, I can drop them in a fully lighted room. Jimmy; it kind of looks like something the dog tore apart. I'm careful to tip the pills onto a wide area of the kitchen bench, so I have time to catch them if they roll. Mrs. C was one step away from serious trouble. She complained of constant headaches (actually just mentioned them, never really complained much) finally found her pressure was through he roof. She is taking what looks like the same tiny pill and pressure is normal, no side effects other than she no longer has headaches. joeh; I had a constant low grade ache under my shoulder blade, assumed I'd pulled a muscle. No headaches, but an occasional white hot pain around the ache spot which I dismissed as "wait and see if it happens again". My pressure isn't normal yet, but my energy is returning. I'm down to 2.5mg of blood pressure meds and I probably should be off them altogether - I monitor my blood pressure at home and it is tracking rather low lately - probably because I have lost so much weight! 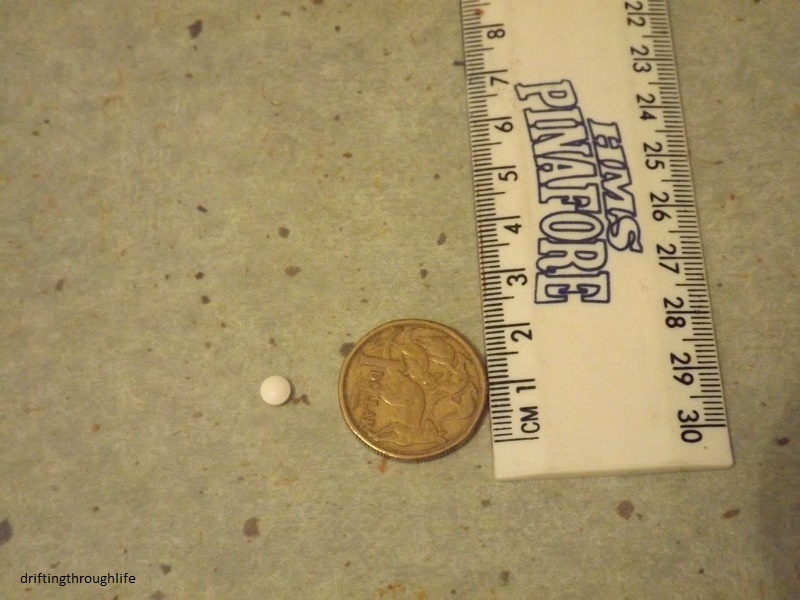 Grace; that one pictured is a 2.5mg, but the doctor wants to see the pressure come down a bit faster, so now I'm taking a 5mg, which is just as tiny and pale green, so it's much harder to spot on the kitchen bench if it rolls away a bit when I tip the bottle. See your doctor about stopping your pills or reducing to one every second day. I hope your blood pressure and cholesterol go down, too, River. Take care and keep taking those pills! Lee; I'm definitely going to keep taking them, I felt so much better within just a couple of days. Only one blood pressure tablet? Lucky you. Ditto cholesterol tablet. I think people design absurd clothing like that to become noticed. Andrew; one per day, surely people don't take more than that? why not just a higher dose and still take just one a day? That "dress" is a silly way to get noticed in my opinion. 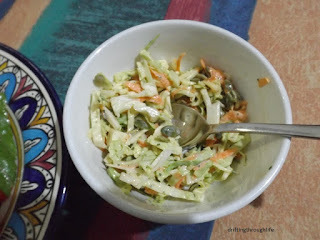 This is the thing that made us change our diet pretty drastically - the other half had high blood pressure. I've done a lot of work on finding things which are low sodium and Aldi overall has the lowest sodium products. When you team that up with the fact that the things we buy are mostly made in Australia..
We did so well at cutting sodium out of our diet, I have to make sure and add it back into mine regularly because I have low blood pressure. 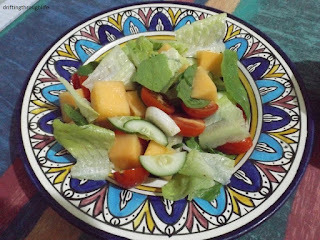 Snoskred; I don't buy many tinned products which is where a lot of extra salt is and processed foods are off my menu too, because I just don't like most of them. I'm happy to go without ice cream rather than try to devise any sort of substitute, but if I was to do that, I'd enjoy the banana taste, they're one of my favourite fruits. Well, I am NOT ready to wear THAT! Val; somebody would have to pay me a LOT of money to wear that and even then I'd think about it first. I'm glad you got medication to help with the BP and cholesterol. A hand towel or tea towel on the counter where you get your pill out of the bottle will keep it from bouncing all over if it happens to fall. I notice you said bananas are one of your favourite fruits, and that you used to eat ice cream. You can make a heavenly treat that's a lot like banana ice cream by just peeling a banana, cutting it in half (crosswise) and pushing a coffee stir stick (the wooden kind) into each one at the cut end and freezing them. They are cool and creamy and have no extra calories. Especially good in the hot weather. jenny_o; thanks, but I'll just eat the bananas. I can do without ice cream. I like it a lot, but I'm not addicted, just ate some everyday when I shouldn't have. Merle; I'm ready to believe my high pressure was brought on by the stress since Loony Louie moved in then Angel getting stolen, but the doctor says it's common for older people to have high blood pressure even after a lifetime of normal pressure. 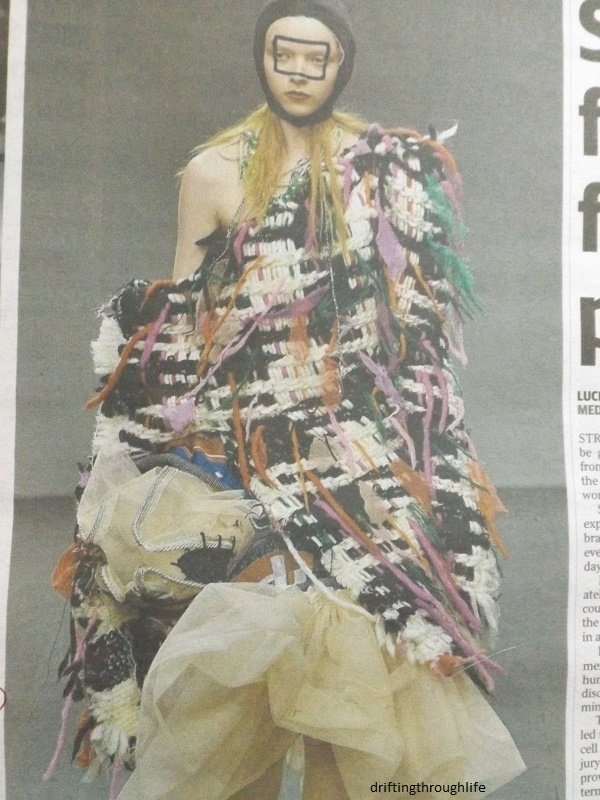 No way do i understand modern "fashion" at all. Good work on getting your health back under control! So many people just ignore it all until they end up in the hospital, and then wish they'd paid attention. Today i have more pictures from Grandma's house. messymimi; I've never understood fashion, I prefer to wear what fits, looks decent and feels comfortable. I'll pop over and see your pictures in a minute. Good Lord. What Is THAT? It may be 'ready to wear' but who on earth is going to want to wear it? only slightly confused; I think it's a cape that got ripped apart by a dog who thought it was a plaything (*~*) I truly can't see anyone voluntarily wearing it. 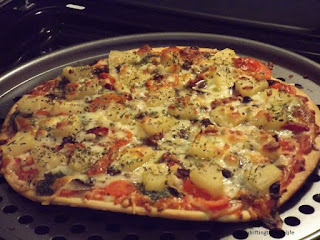 The pizza looks yummier after your additions. You'll be able to have it once your numbers are under control. I know this from direct experience. In case you're wondering, I'm here via Messymimi's place. cube; welcome to drifting. 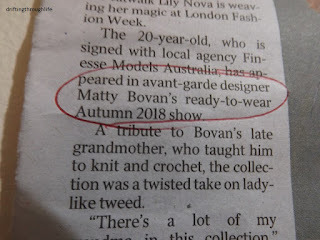 I've seen a lot that's labelled ready to wear and shaken my head at it, but this is one of the worst. I always add extra toppings to my pizzas, I know what I like. I only eat pizza a few times a year. Autumn. Ready to wear. I'm sorry, this words do not compute at this time. The Happy Whisk; what season are you heading towards? Ready to wear to me is what's clean in my wardrobe. Weird clothes certainly not for me, thank you! Pizza looks nice as your dressed it up. Blood pressure tablets - no - cholesterol - no - for me. margaret-whiteangel; weird clothes belong to costume parties and comic-cons. Lucky you being so healthy, but keep a check on things just in case. I 'thought' I was fine, now I realise just how tired I was, wanting to sleep all the time, slumping in my chair. It built up slowly and I was blaming the asthma. Oh that IS a very small pill. Perhaps always taking it somewhere the floor is dark might help. I am always afraid of dropping my little things too. Happy Elf Christine; I've been tipping the pills into my cupped hand or a shallow bowl. So far I haven't dropped any. I don't have any dark floor, it's all the same pale yellow vinyl. Would you invite me to dinner? 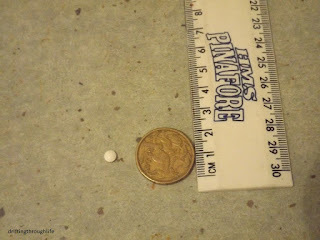 I am down to one small aspirin tab and half of 40m micardis tab. Plus some Vitamins variable each day, Even my Water works are improving much less concern. The hair on my Noddle is growing well -not much snow... son say's I need a haircut. I've been stopping in at Elephant Child's for quite some time and enjoying her photos. Those skies and birds and flowers! Wow! I decided it was about time to see what the rest you guys were doing, and I'm so glad I did. Great to meet you and see your "delicious" images. I may have to beg some recipes. As to the "ready to wear" I'm all for high fashion, just not on my body. 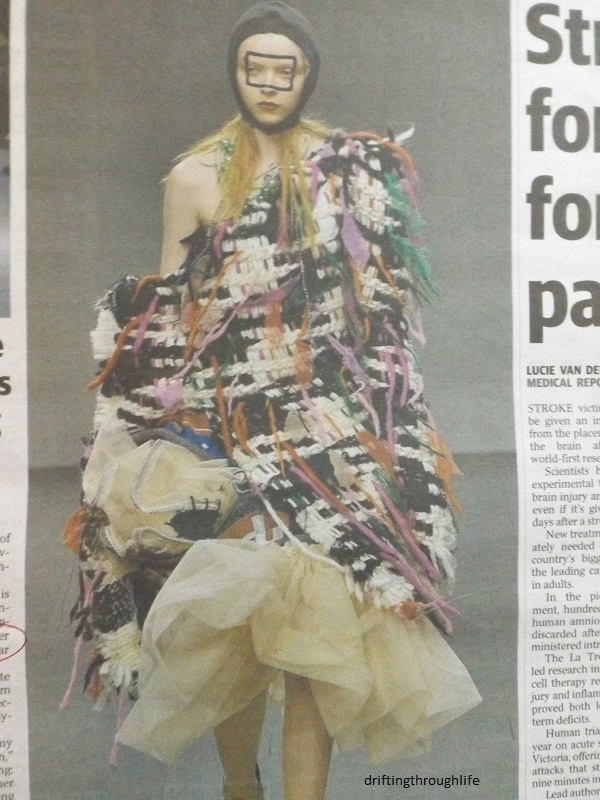 I'd look like a moveable plaid tent in that. My thoughts on the facial decoration: it's a texture theme. I wonder what that garment feels like.